San Francisco based Amazon Advertising has had their share of mix-ups with Amazon.com in their 18-year history. 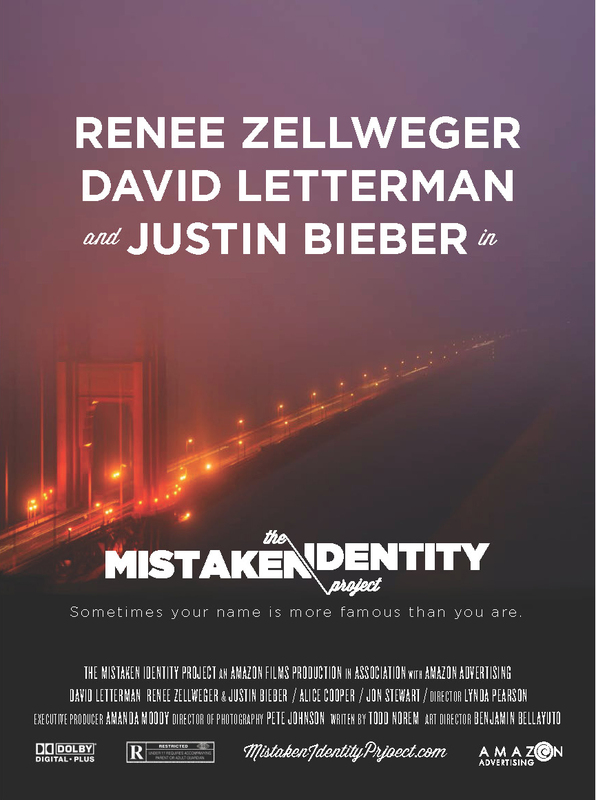 So we created the Mistaken Identity Project, featuring stories of everyday people whose names are famous, even though they may not be. The project garnered significant press, including features in Adweek, Ads Of The World, the San Francisco Egotist and even Yahoo News. David Letterman from Amazon Advertising on Vimeo. Alice Cooper from Amazon Advertising on Vimeo. Jon Stewert from Amazon Advertising on Vimeo.